Afghanistan is home to a large number of ethnic groups, each with their own culture, values and identity. Roughly 42 percent of the Afghans are Pashtuns, speaking a language called Pashto. They mainly live in the eastern and southern parts of the country. The Pashtuns founded the kingdom of Afghanistan in 1747, and have been the dominant ethnic group in the country ever since. The great majority of Pashtuns live in the countryside, while the Afghan cities are more influenced by Persian civilisation and culture. Thus, the dominant language in the cities is a Persian dialect known as Dari. Persian was formerly the only written language in Afghanistan, and urban dwellers speaking Dari often considered themselves more enlightened and cultured than the ‘primitive’ Pashtun tribes in the mountains and the desert. Today, however, Pashto and Dari are given the same status in the state administration. The second largest ethnic group in Afghanistan are the Tajiks, making up around 27 percent of the population. The speak Dari and often live in cities and in the western and northern parts of the country. In the north, one also finds Turkmens (making up three percent of the population) and Uzbeks (nine percent). Both groups speak Turkish languages and Dari. The central, mountainous part of the country is home to the Hazara (nine percent) who also speak Dari. The Hazara are considered to be descendants of the Mongolian soldiers of Genghis Khan. Finally, there is a number of smaller local groups with their own languages and cultures. One such are the Nuristani, who only converted to Islam by the end of the 19th century, and who speak several interrelated Indo-European languages. One cannot understand the development and present conflicts of Afghanistan without taking into consideration the cultural heterogeneity of the country. 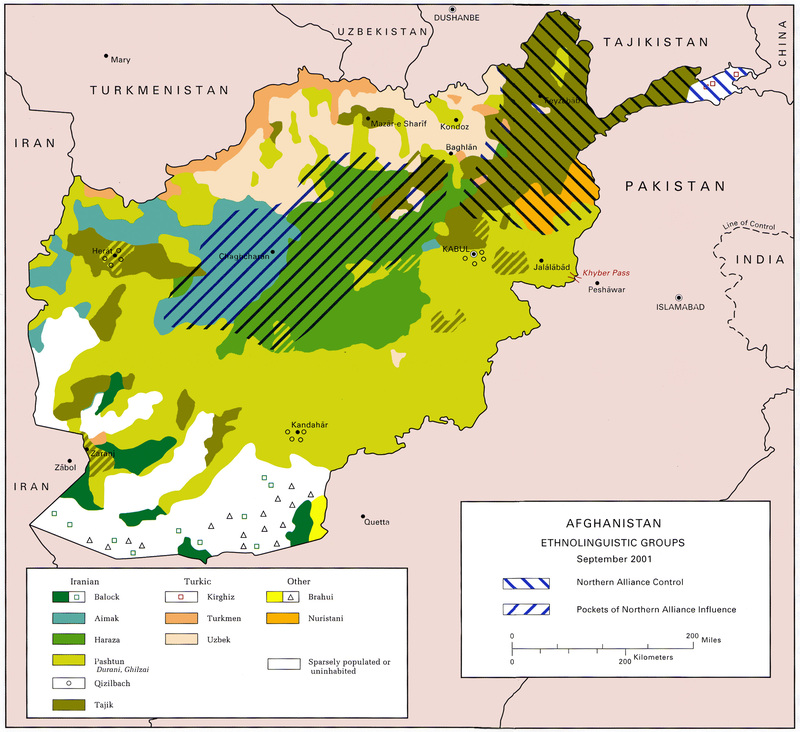 The Taliban movement is rooted in the Pashtun society, and it is among Pashtuns that the Taliban find their supporters – even if most Pashtuns remain opposed to the Taliban. 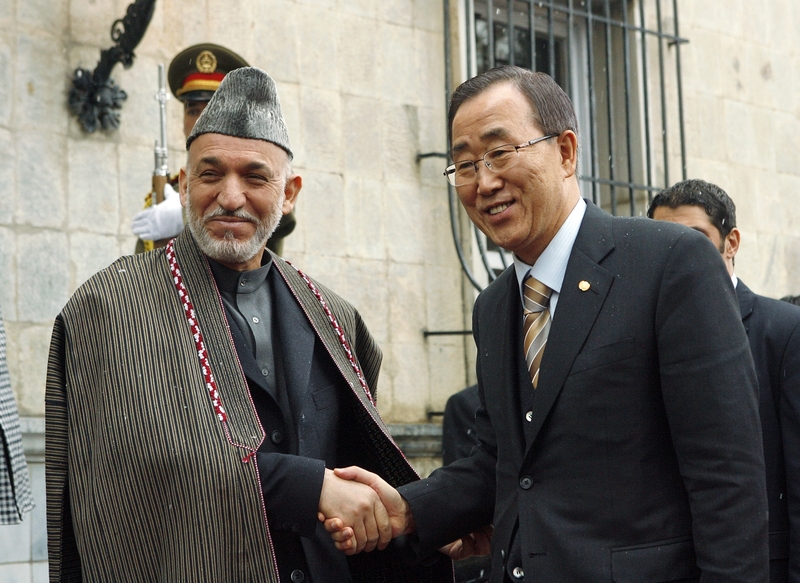 Hamid Karzai, Afghan president between 2001 and 2014, is also Pashtun, but has fought the Taliban throughout his presidency. There are also large Pashtun communities outside of Afghanistan, influencing the development of the country. Besides the 15 million Pashtuns within Afghanistan, another 15 millions are found in Pakistan. Roughly one third of those live in the unadministered ‘tribal areas’ of Pakistan and are to a great extent active in the armed struggles within Afghanistan. Al-Qaeda also has several bases within the Pakistani tribal areas.